The UK’s Information Commissioner has ruled that Google’s Street View is not a threat to privacy after mulling over an official appeal by privacy campaigners, Privacy International. Launched in the UK last month, the nifty add-on to Google Maps and Google Earth lets users view an unfurling panorama of pannable, zoomable street-level photographs of major streets and cities. 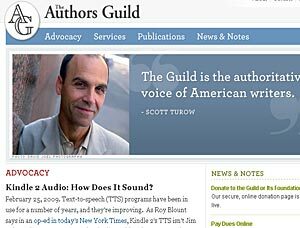 Buckling under blistering criticism from the Author’s Guild, Amazon has made it possible for their controversial text-to-speech feature to be disabled on its new Kindle eBook reader. The online book-shifting behemoths have now promised to modify the Kindle 2 so that authors, publishers or any holders to a novel’s rights can decide whether the feature will be available for their work. 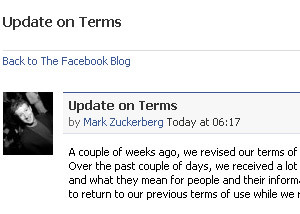 There’s been a lot of concern in the UK about members of the public and journalists being restricted in where and what they can take photographs of in public places. A definition that broad could lead to any photographer being arrested. 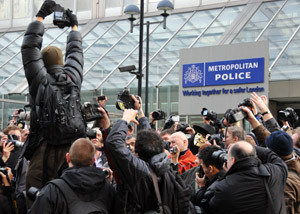 The NUJ arranged a mass-photo taking this morning outside New Scotland Yard, our man Mike was down there and will be reporting back shortly. 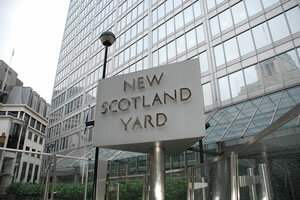 has now published his Section 76 Photographers Scotland Yard Protest: Report.